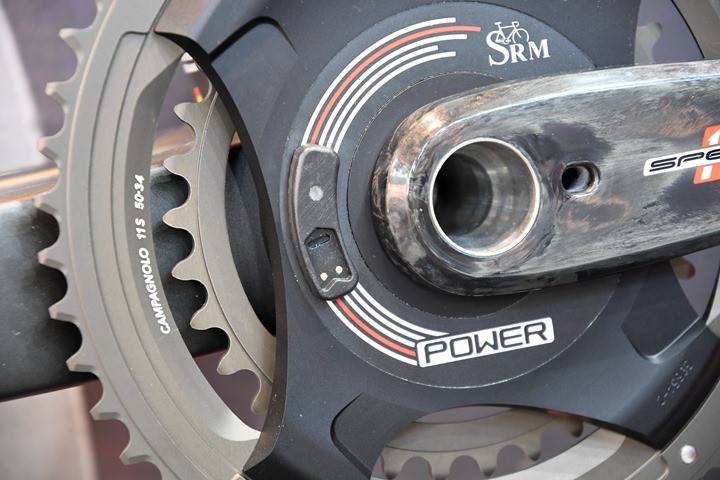 Coaching: Is your power meter leading your training astray? Power meters have become an absolutely vital training aid for cyclists, many of us also using them racing and in sportives. But if you are not using them properly it can be very problematic; calibrating them the key issue. Calibrating our power meters properly is essential. A complete accurate reading means we can train with the almost total certainty that our power reading is equal to that of previous workouts. For some power meters there is an automatic calibration option. But I suggest you always carry out calibration manually from your head unit. Calibrating your power meter should become a regular routine because it can heavily influence the effectiveness of a training session if we decide to rely on its data. When not calibrated, the power meter can easily be 20 watts out; underestimating or overestimating power output by that much compared to your previous work-out. To some cyclists those numbers may seem small. But more experienced riders will know it’s enough to ensure you’ll be training outside your training zones. This can lead to you spending time and effort inadvertently working on different metabolisms. You could be above the zones you think you’re training at and so you’ll be risking overtraining. On the other end of the scale you could end up training, maybe for a long time, with the handbrake pulled; below your required zones. And that means you’ll be training without experiencing improvements in those areas your riding is supposed to be working. We’ve built a strong reputation for successfully coaching cyclists in Ireland of all abilities and we’d love if you joined us. Cigala Cycling’s clients include international road riders, leisure cyclists and everyone in between. If you’re trying to improve in a bid to win races or you simply want to lose weight and generally get stronger on the bike, why not check out our coaching packages from €100 per month? It’s highly recommended you calibrate your power meter before each session. It only takes a couple of seconds and it’s time very well spent. Start your ride for one minute. Stop. Calibrate. And start recording your session. If you are more ‘lazy’ you can avoid calibrating it in the days when you’re doing a very easy ride. On those rides you won’t be watching your power data as closely and it’s not as important. But you should calibrate on all other days. This is especially so when the conditions you’re training in vary from day to day. These may included fairly significant temperature changes or changes in humidity and other swings in weather conditions. For example, during winter the bike is kept in a room where the temperature is higher compared to outside. In this situation, before setting out on your ride, I advise you to leave the bike outside for a few minutes. That way, the power meter will adjust to the outside temperature; that one you’ll be training in. Once this is done, switch to the usual calibration process from your head unit. These are small details but it will ensure your power meter is as accurate as it can be every time and you’ll be comparing like with like data as you do your sessions over the weeks, months and years.